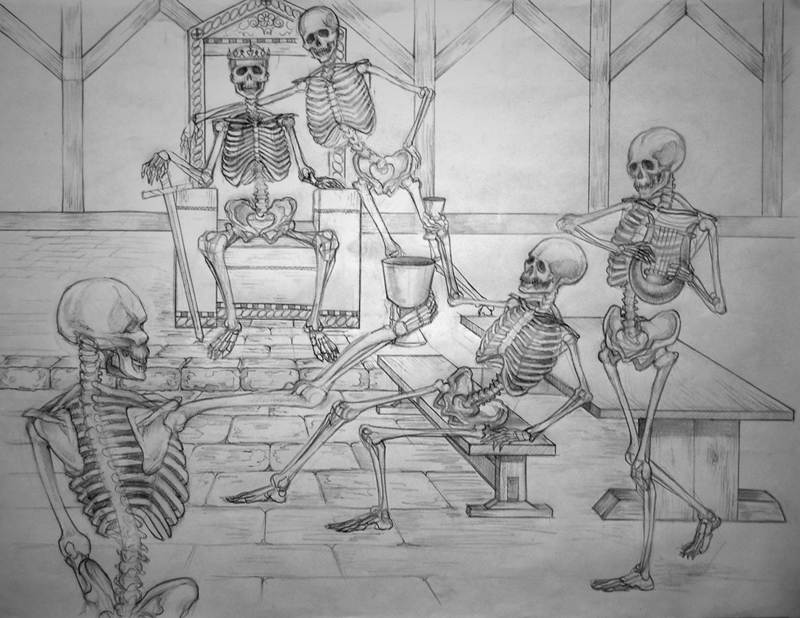 I love drawing skeletons! I hate drawing skeletons! Definitely skeleton-ed out (and then I had to draw muscles over top of it, yeesh). A toast to king skeleton and his skeleton mistress! 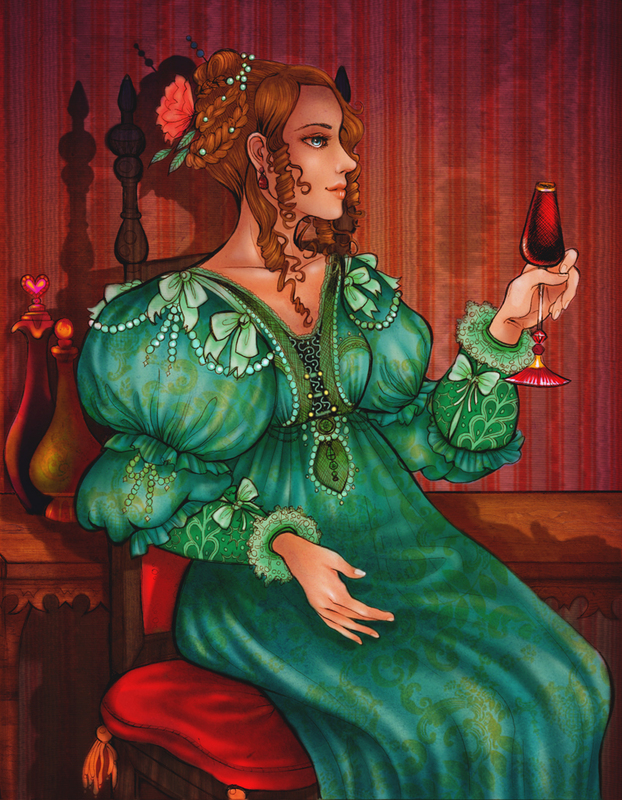 A noblewoman toasts…more coloring practice. Ballpoint pen on paper, colored in Photoshop.